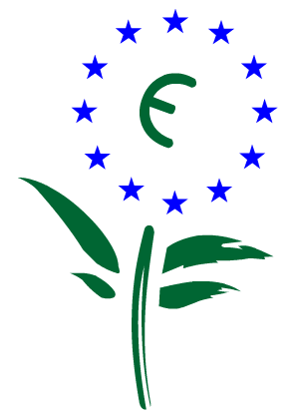 The Ecolable is a scheme managed by the European Union (see symbol opposite). It was established in 1992 and aims to promote products and services that are environmentally friendly. Companies and businesses that use this symbol / label have shown consistently, that they sell products and services ,that conserve the environment. For instance, a company that has reduced its carbon footprint can apply to use the ecolabel. A company that uses recycled materials in the manufacturing of its products or encourages recycling can also apply to use the symbol. 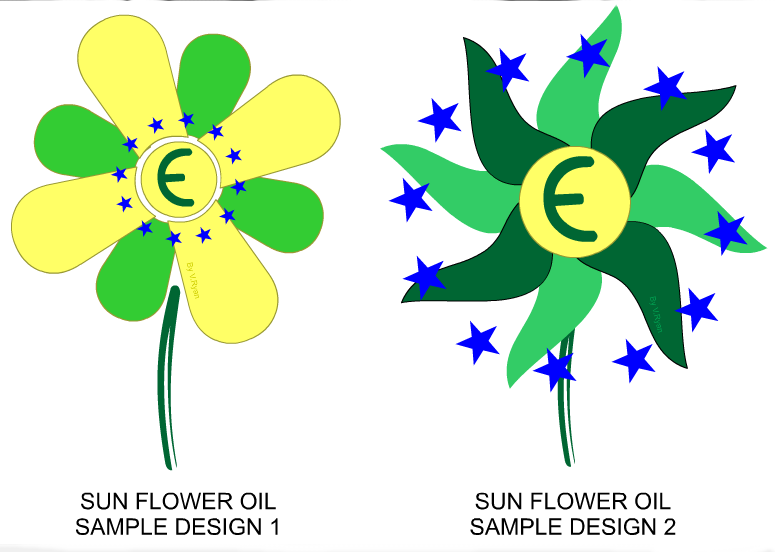 Design a symbol for the European Union, to encourage people to use sunflower oil in their cooking, rather than ordinary vegetable oil (which is less healthy). Companies that produce food products that include the ingredient sunflower oil, rather than less healthy oils, will be able to apply to use the symbol on their packaging. The symbol must have similar characteristics to the European Ecolabel (see the samples below). 1. Draw a rough version and then a colour rendered finished version. 2. Add notes the explain your design.